Note: I have sent all my articles since 2009 to my mailing list for FB and “filas-mestizos” breeders, judges, and clubs. On this list are included the electronic address ofthe only two defenders I know of this new canine type. In fact, it is very easy for these two people to communicate with me or answer me because for decades they have had my email. The mentors of the new thesis of the new canine type entitled OFB, although they have not yet answered any of my questions on the origin and the existence of OFB, have recently argued that a certain dog, that is, with characteristics and shape of Great Dane / German Dogue, was able to obtain its registration in the CAFIB decades ago and that this same dog (see photo just below) would have “…providing a show working with cattle in a corral in Teófilo Otoni…”. (i) Many were the REGULAR quality dogs that were approved in CAFIB Analyses of Phenotype and Temperament (APT). This club, especially in its beginning, during the formation of our squad, has always given the opportunity for these REGULAR quality dogs to prove in practice through successive mating, always with strict control and over many years that they could transmit good characteristics of FB to their descendants. But CAFIB has been recommending for years that these approved dogs in the Regular Qualification should be mated with Very Good Qualification FB in order to improve the correct phenotype and/or temperament of their offspring. Many people do not read, do not study and, therefore, do not know the CAFIB’s Breeding Philosophy. So it seems to me that the OFB mentors have only continued with their Regular quality dogs over so many years or decades, while the members of CAFIB have progressed in their breeding’s and in the enhancement of the Pure Fila and far from miscegenation. That is, these “regular” breeders continued with a phenotype far from the True PURE Fila Brasileiro. After all, what kind of dog do you prefer? The OFB or the CAFIB Fila ? As I have written, I am very apprehensive that people who cannot breed the Truly Pure Fila, such as those registered since 40 years ago at CAFIB and are afraid to submit their dogs to the CAFIB APT (*) and expose their dogs at CAFIB Expos, invent new canine types, stories, fashions and theses without any theoretical or practical proof… Others have no collective spirit and are afraid to join a club where EVERYONE has to follow their Regulations and Breeding Philosophy. (ii) Many dogs of various breeds and even our beloved mutt / mongrel / mestizo dog work very well with the cattle because of their talent, instinct and training. Not only in the corral, but also in the pasture and in the field. As a farmer and breeder of FB and a long-time member of CAFIB commented to me: “some dogs, whether or not they have a Great Dane / German Dogue type, sadly even bite the ear of the ox, causing a bleeding wound and this is one of the reasons why a minority of farmers still use ox dogs“. In any case, we thank the Brazilian State of Minas Gerais for keeping alive this important tradition in the culture of Brazil and the FB, although the motorization of the field has replaced it largely in the rest of Brazil, where motorcycles, quadricycles and even helicopters have been used to the movement of cattle. So, we all conclude that being able to handle and work with cattle does not make any dog, much less a Great Dane / German Dogue type of dog, a True Fila Brasileiro. For my part, I will continue to await the counter-arguments and comments of the OFB mentors on the questions listed in my last articles and which follow again and once more below. Otherwise, the exchange of ideas and discussion that I intend to be kept at a high level and without creating foolish enmity, does not proliferate. We’re arguing about dogs; not about people, friendships and relationships !!! Let’s discuss concepts, not people. Please, stop taking matters about dogs to the personal side !!! No one wants to defame anything, much less the OFB, but only to defend different points of view and to collect answers to questions not yet answered. This is how a serious debate in the field of ideas must take place. It is no use also to appeal to “…religiosity…”, sects, etc. In fact, those who always used this false argument against CAFIB were some CBKC-FCI “fila” breeders decades ago and without any success. Therefore, OFB advocates should take better care of their companies and arguments. So please, let’s always discuss politely and with solid and proven arguments. That is, without the recent download posted in Brazil and abroad on Facebooks. Let’s keep a polite level with arguments and education. After all, the FB deserves it !!! 1. Since the beginning of CAFIB, Dr. Paulo Santos Cruz himself has reproached and reproved the recently presented phenotype of the new canine type called OFB (see many photos of REPROVED and REJJECTED dogs in CAFIB APT, whose phenotype resembles that of OFB in my article translated into English in https://filabrasileirochicopeltierblog.wordpress.com/2019/01/18/post-608-uncle-chico-newsletter-230-the-misuse-of-the-photo-of-the-mastodon-fila-orixa-which-was-never-from-parnapuan-kennel-breeding-about-the-fake-filas-photos/ and in https://filabrasileirochicopeltierblog.wordpress.com/2016/05/09/post-n-362-perguntem-ao-tio-chico-no-131-o-inicio-da-formacao-do-plantel-cafib-quase-40-anos-atras-demonstrado-via-fotos-das-primeiras-afts-o-trabalho-unico-de-recuperacao-e-apr/ ). So, why do the inventors of the OFB still insist on trying to use and cling to the recognized and respected name of Dr. Paul ? 2. The dogs of the Iberian Peninsula – basically formed by Spain and Portugal – that would be, according to the mentor of OFB, the origin of the FB had ALL triangular head. How then to explain his contribution in the brachiocephalic, large, heavy and molossoid head of the FB? 3. There is no proof that these Iberian dogs were shipped, traveled in caravels for 3 or more months and, in fact, arrived in Brazil. Would it be possible to disagree with this statement of Uncle Chico presenting historical facts and not merely superficial assumptions that most resemble the weak and fake theses of Procópio do Valle and João Batista Gomes ? 4. 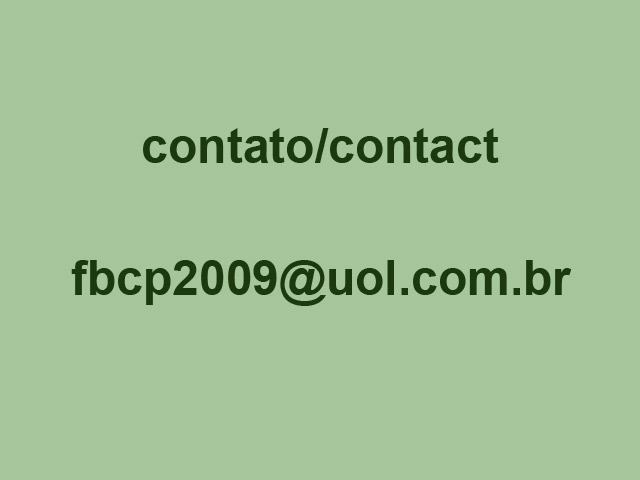 Since all Dr. Paulo knowledge on FB was totally consolidated in CAFIB from 1978 on, why try to insist and refer to Dr. Paulo’s writings in the 50s and 60s and the first BKC / KCP (Kennel Club from São Paulo) FB Standard dated 1951 when he was still young and started the breeding of the FB? 5. FB does not deserve to risk to be divided again into other phenotypes. Why do the defenders of the OFB insist on such division? 6. The FB has already been rescued by CAFIB 40 years ago. Why try to invent a new and unknown way to what was already built correctly and successfully? Would it be a fear of the OFB mentor to joining CAFIB and having to follow rules to which all directors, judges and members are submitted ? Would the OFB mentor be afraid of having theirs dogs disapproved in the CAFIB APT or of theirs dogs being misclassified at a CAFIB Expo? Why the mentor of OFB want to continue in a comfort zone and only in the simplistic scope of your kennel’s breeding ? 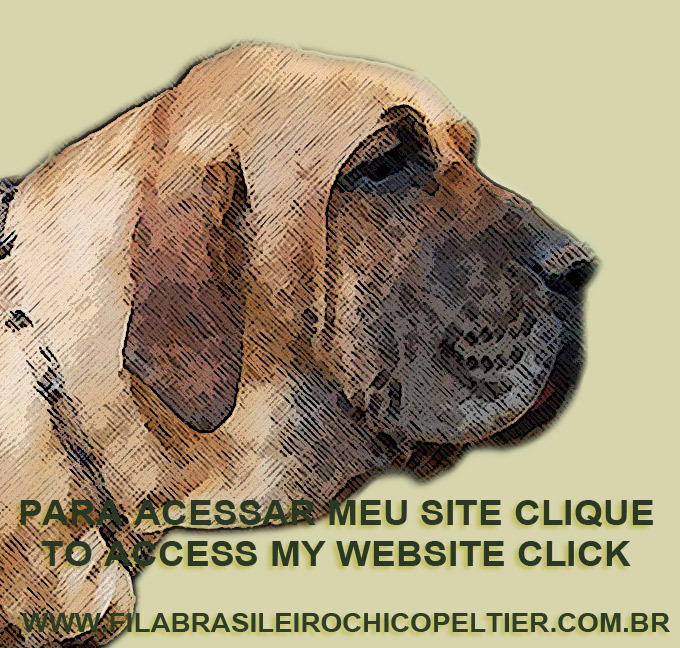 That is, why try to adapt the True Pure Fila Brasileiro to the type of dogs that are breed inside the OFB mentor’s kennel? 8. After all, why OFB fans have so far not clearly stated what bloodlines that are being actually used to make the OFB ? Why not give all the names of dogs used in this new experience? Why the mystery? Would this origin be based on bloodlines in fact from many CAFIB and even CBKC-FCI dogs and therefore had to accept the “black-fila” ? Where’s the transparency? After all, CAFIB had selected its squad clearly and openly on the APT and Expos tracks in the presence of all Filas fans and disseminating much of these results in the press? 10. Why the mentor of the OFB insist on personal fulfilling and egocentric projects that should never be above the Fila Brasileiro? For my part, as I have done since 1974, I will always continue to defend our beloved, traditional and ORIGINAL PURE Fila Brasileiro. But always with education, respect and solid argumentation.